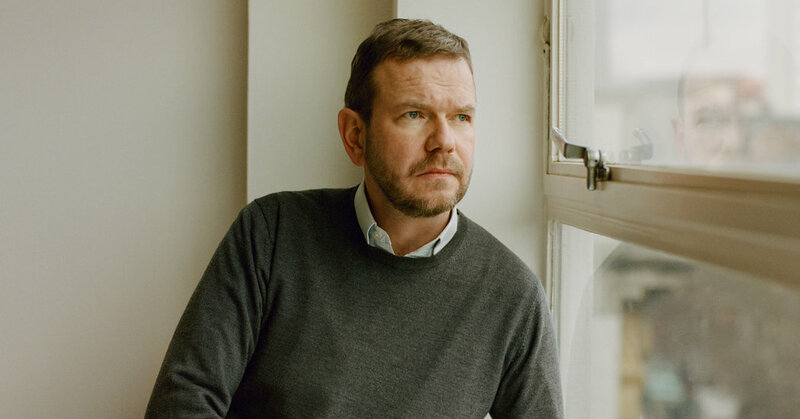 LONDON — The talk radio host James O’Brien generally speaks to callers in the calm, resolute tone of a guy working at a suicide prevention hotline. Many of those callers ardently want Britain to leave the European Union, an idea that Mr. O’Brien regards as an economic calamity in the making. To him, the upsides of staying in the union are a matter of irrefutable logic. But logic is of surprisingly little help in the epic, quasi-comical confrontations he has with listeners. Typical was a recent exchange with a caller named Julian, who contended that the Tory government had failed to convince the bloc that it was ready to leave without a deal — a common lament among Brexiteers unhappy with the government’s negotiating tactics. Exchanges like this, captured on an in-studio video camera at LBC, the London network that broadcasts Mr. O’Brien’s show, have become YouTube hits in Britain, regularly racking up more than 100,000 clicks. It might be the most English genre of all viral media — radio arguments — and it’s hard to imagine them catching on in the United States. Mr. O’Brien became a full-time host at LBC in 2004 and had a modest following for roughly a decade. The video clips, starting even before Brexit, have quadrupled his audience in recent years to roughly one million listeners a week and helped turn him into one of the most prominent Remainers in the country. It’s the kind of fame that causes publishers to come knocking. His recent book, “How to Be Right … in a World Gone Wrong,” is a best-seller. Clad in a crew neck sweater and sporting a neatly trimmed beard, Mr. O’Brien, 47, could pass for a cuddly professor on his way to a graduate-school seminar. His show, which airs from 10 a.m. to 1 p.m. daily, has fleeting elements of academia, interspersed with the oral equivalent of Greco-Roman wrestling. His guiding premise is that ideological opponents simply have not grasped or heard the facts, and that once they do, they will change their mind, live on the radio. Among those arguments: that Brexit will be easy to negotiate and without economic downsides. In actuality, a deal remains elusive, and government officials predicted in November that the British economy could shrink by roughly 4 percent by 2030. Yet national polls have hardly budged. Leavers and Remainers have stuck to their positions, and it’s far from clear that a second referendum — an idea whose fortunes seem to be waning — would change the outcome. The larger question, in both Britain and the United States, is why politics have recently devolved into tribes. To William Davies, a lecturer at Goldsmiths, University of London, and the author of the coming “Nervous States: How Feeling Took Over the World,” the answer is not that every side believes it has a monopoly on reason. Mr. O’Brien path to a job in the media ran, improbably enough, through haberdashery. Raised in Kidderminster, a small town not far from Birmingham, he worked at Aquascutum, a luxury men’s shop in London, after college. One day in 1996, some of his colleagues returned from 10 Downing Street with material for a white suit for the prime minister, John Major. The color was so out of character that Mr. O’Brien called the gossip editor at The Daily Express and pitched it as an item. He started writing showbiz column items for a variety of London tabloids. His first radio job came years later, and his breakout moment occurred in 2014, in a contentious LBC interview with the future Brexiteer Nigel Farage. (The clash has been viewed on YouTube nearly one million times.) Mr. Farage was the leader of the U.K. Independence Party, known as UKIP, and had been accused of xenophobia. “You’ve mentioned your discomfort at listening to foreign languages on a train recently,” Mr. O’Brien said. “Well, my children are, too, yeah,” said Mr. Farage. “How do you know those people couldn’t?” asked Mr. O’Brien. Other videos would follow. Mr. O’Brien suddenly started appearing in Facebook feeds across the country. Today, he is regularly stopped on the street, one of the very few people in this country whose careers have been made by staking out a position as a Remainer. Still, he said, he’d happily return to obscurity if the Brexit vote could be reversed.